1. They’ve contradicted what God has always said about man, therefore they’ve lied. 2.They’ve plagiarized the Bible that they’ve said isn’t true and can’t be trusted. 3.They’ve contradicted themselves in who they believe God is. In this statement they’ve said that God does not change and we already know this is a lie. The Mormon god was once a man who became a god. 4.They’ve contradicted themselves in their statement about children being “alive in Christ” and that “God is not a respecter of persons”. Earlier beliefs in Mormonism include the teaching that blacks were an inferior race. 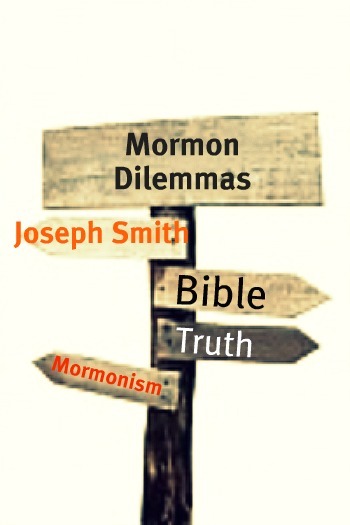 Now, with all that information from just one verse in the Book of Mormon, why would you choose to make this part of your life and trust this is from God?